The only specific marker of sporadic amyotrophic lateral sclerosis (ALS) is neuropathologic, namely the presence of inclusions staining positively for ubiquitin and TAR DNA-binding protein (TARDBP, also known as TDP-43) in degenerating motor neurons. Abnormalities in various physiopathologic pathways associated with ALS, such as oxidative stress, inflammation, and excitotoxicity, have been reported in blood, cerebrospinal fluid, and muscle biopsies. A number of studies in ALS patients have indicated that nuclear magnetic resonance (NMR) spectroscopy and diffusion tensor magnetic resonance imaging (MRI) can detect corticospinal lesions. However, because of their relative lack of sensitivity and specificity, these techniques are currently inadequate for use as diagnostic tools in individual patients. Recently, there has been much interest in the use of high-throughput techniques such as transcriptomics, proteomics, and metabolomics for the detection of biomarkers. In the future, a combination of biologic, radiologic, and electrophysiologic markers, rather than a single marker, may prove a useful tool for the diagnosis and follow-up of ALS patients. 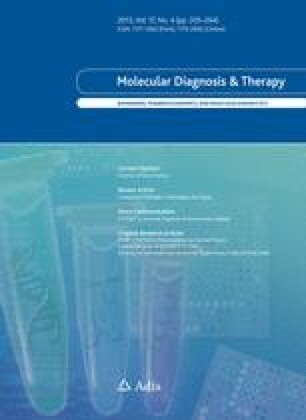 This article provides an overview of recently described biologic and radiologic markers of the disease.